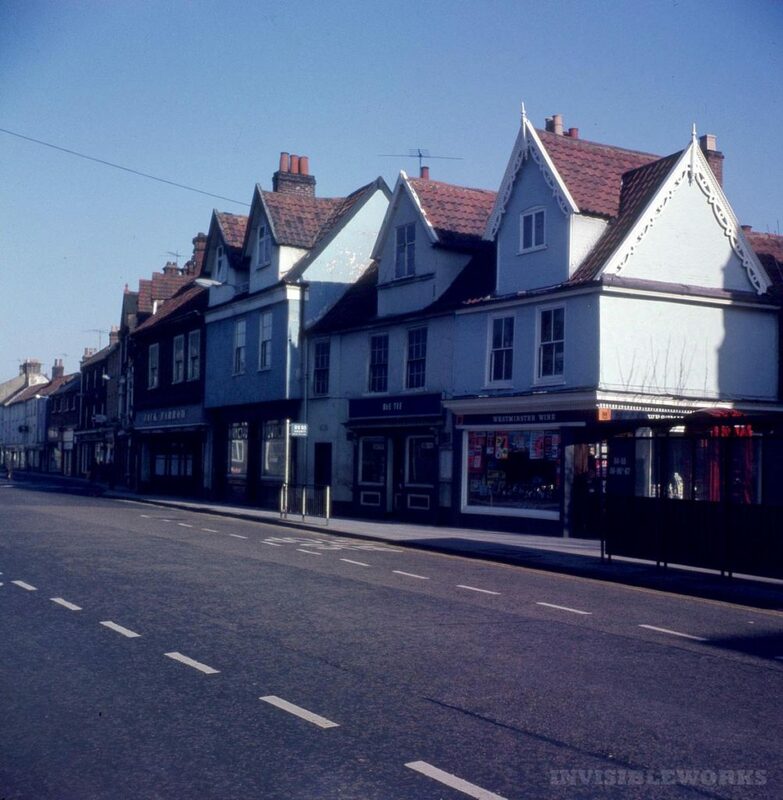 Difficult to subdivide these really, so the obvious one was to produce a post of 1960s Norwich street scenes or buildings which were shot. Some things are instantly recognisable, others less so. some things just haven’t changed much beyond a coat of paint, others are lost below concrete, brick or tarmac. Britons Arms or Goddes House (and the King’s Arms) is a very old building believed to date from the mid 14th century. 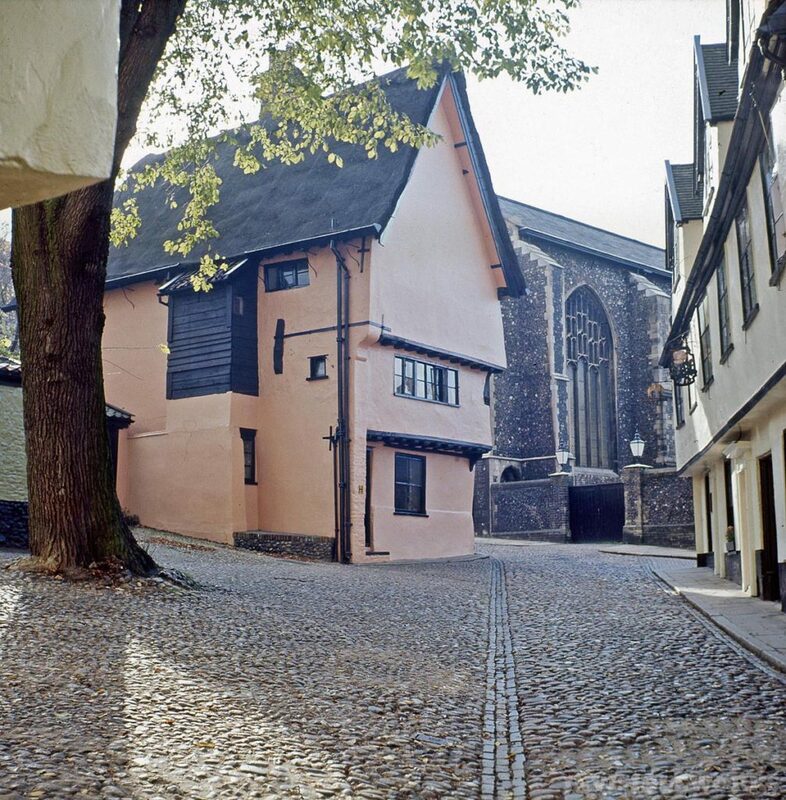 Its proximity to St Peter Hungate hints at previous uses that possibly relate to the church it has had numerous uses including from 1760 to 1941 as a pub and more recently as quite a famous cafe and has been used along with the environs in a fair few films because of the medieval appearance of the street. A changed corner between Tombland (nothing to do with tombs it’s a Viking marketplace) and Upper Kings Street, Norwich. The building that you can see there now is rather different although part of this still exists minus the corner. Curiously if you look near the corner now you can still see the boot scraper which would have been next to the front door is still embedded in the wall although the door has long since gone. What is here now is next to All Bar One, and includes a rather strange lump of concrete which is so out of tune with the surroundings it’s like an alien spaceship has smacked into it. Love a bit of concrete me, just maybe not here, 1960s Norwich in this case being far preferable. Pykerel’s House or the Rosemary Tavern, St Mary’s Plain. 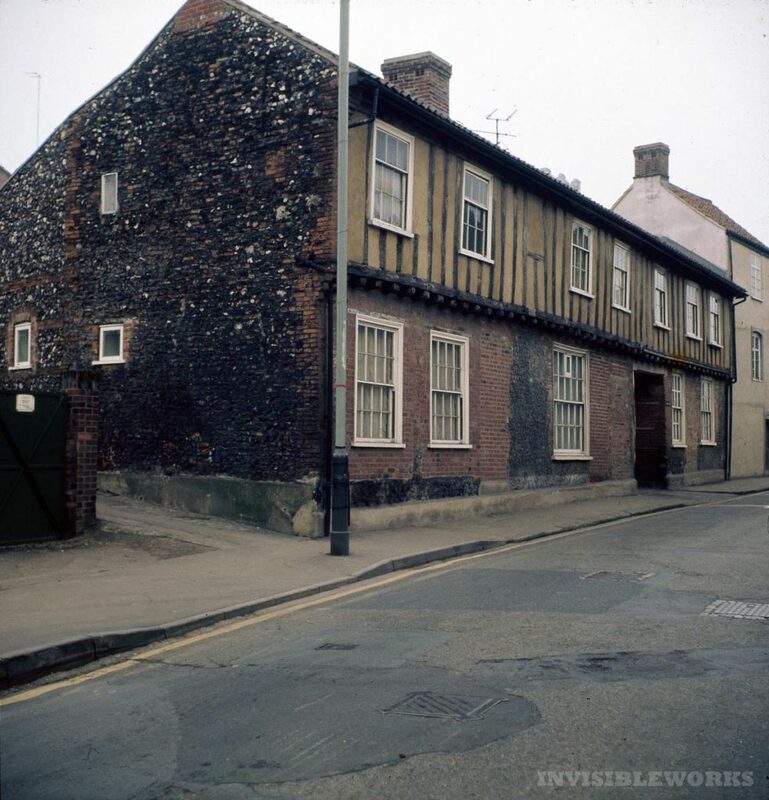 Pykerel’s House or Pilgrim’s House or The Rosemary Tavern, St Mary’s Plain. A 15th Century Great Hall. It has variously been a merchant’s house, A mayor’s house, a pub and then a residence again, 500 years old-ish. In 1942 an incendiary found it’s way down two to three thousand feet and sets fire to the thatched roof but it survived and is still there, near the edge of the Moss Pool. 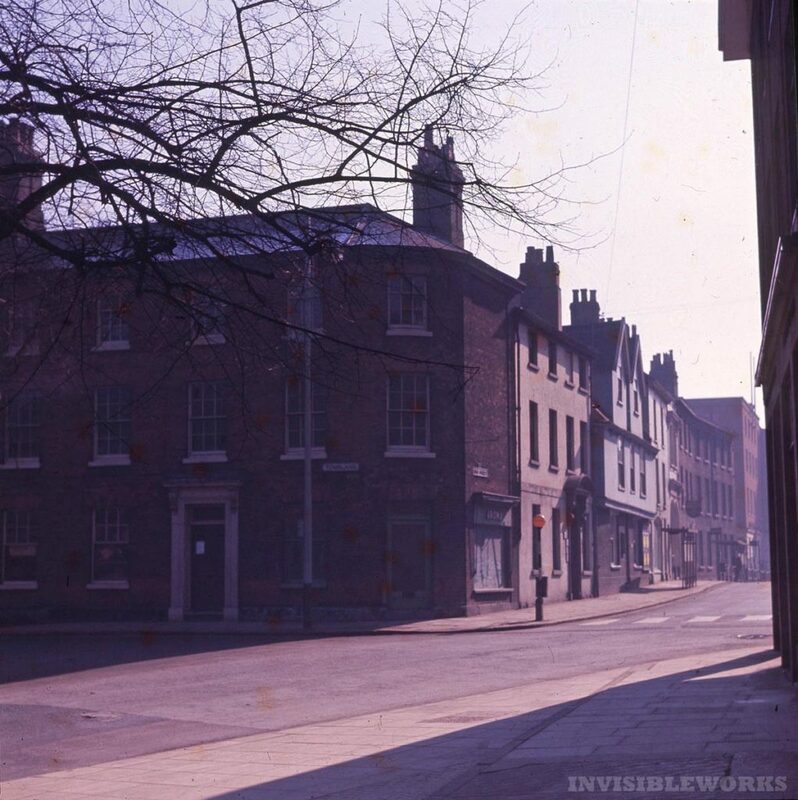 The first two buildings on the right of the photo still exist they sit next to the church of St Saviour, Norwich, the building next to it have gone, now a flyover roughly four buildings wide. Variously a cinema and a venue, famously the Beatles played here. In this photo the band on the billing is the Clearways who toured in the summer of 1963, which would place this photo to then. 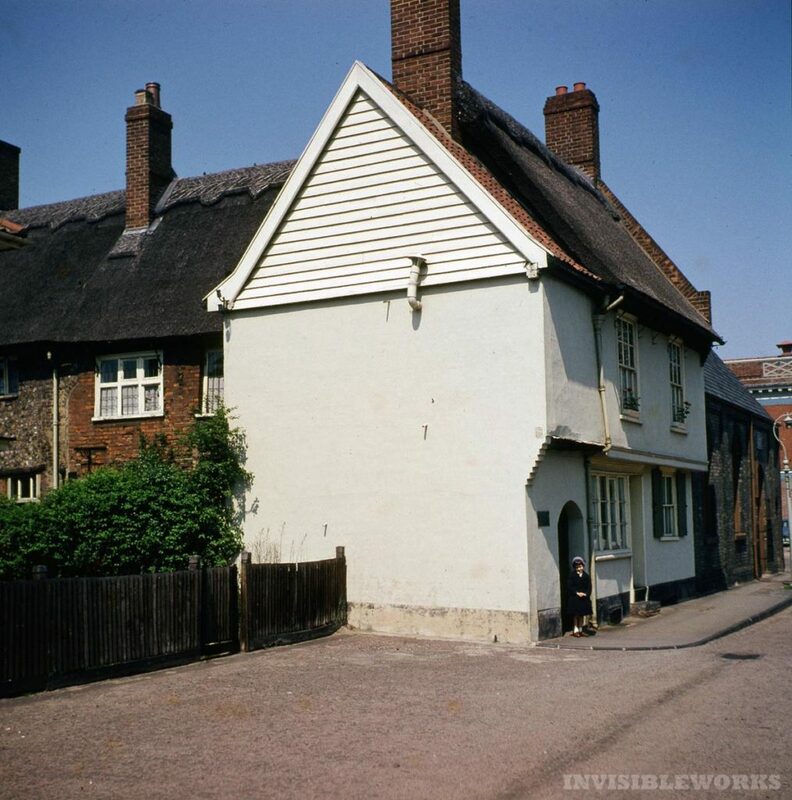 I believe this is Ber Street, Norwich, but I’m not 100% sure and the label is missing on this slide. 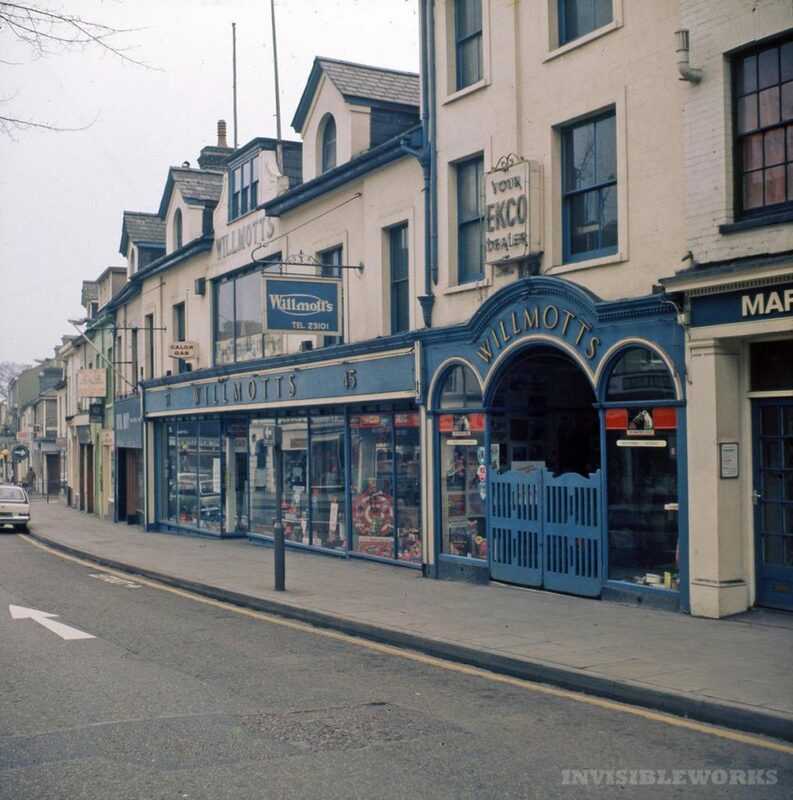 Proves, along with Tony’s Discount Warehouse in the 1980s that discount stores aren’t a new idea. Tony used to sell Mayonnaise on a short date by the litre, we discovered there’s only so much mayonnaise you can eat in a week, not a litre was what we discovered. See also broken biscuits and dill pickles. 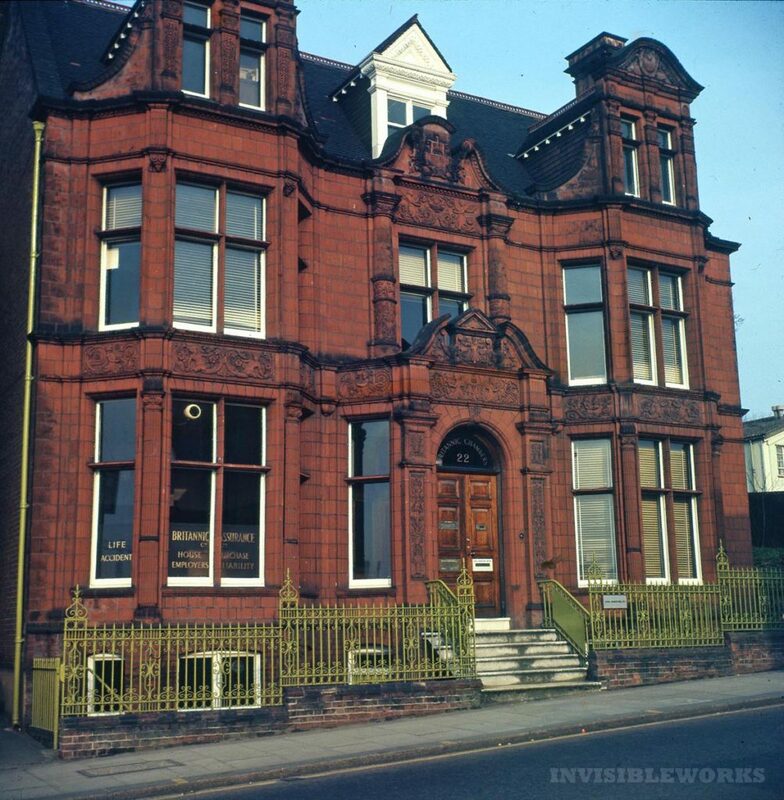 45- 51 Prince of Wales Road. 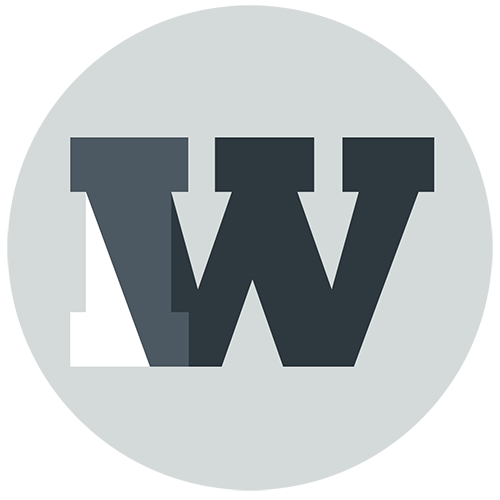 read more on Joe Mason’s excellent blog here. 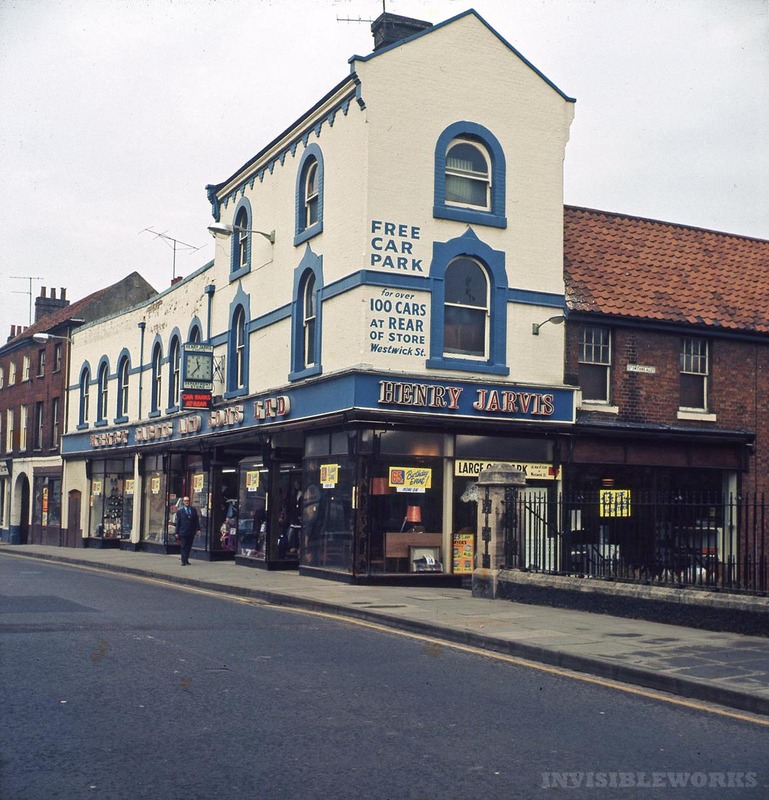 This has gone, replaced by a curious building with a colonial style roof that looks like the architect may have been watching the Amityville horror and Blade Runner at the same time then got confused in a dream. A much hacked about frontage with a wood frame, it’s actually not much changed on Streetview. Corner of St Stephens Street and Chapelfield Road. 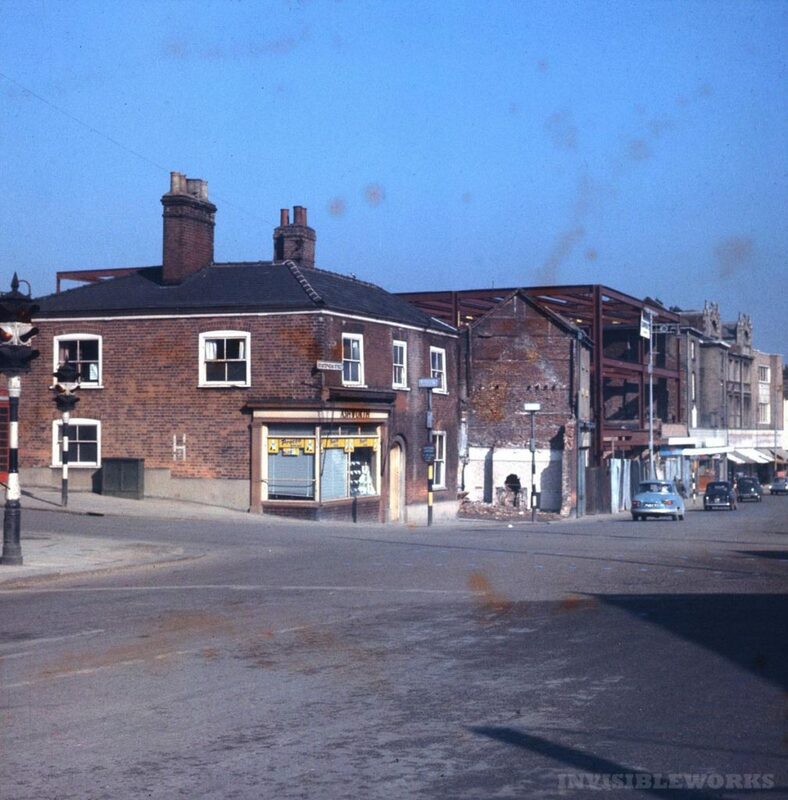 Much changed in the massive widening and revamp of Stephens Street in the 1960s, most of the widening was to the other side of the road. This is where Wilko is now The framework of part of which is evidently going up in the background, you can also see the twin reveals of what I think was the original 1903 Co-op, QD, now Poundland. I’d guess the photographer would be run over if he stood here now, or he or she may be in the relative safety of the roundabout. Googlemap it here. Henry Jarvis and Sons Housewares now The Norwich Charitable Trusts building. The Railings are those of Norwich Arts Centre. Thorpe Road, a rather nice building covered in Costessey ware decoration. 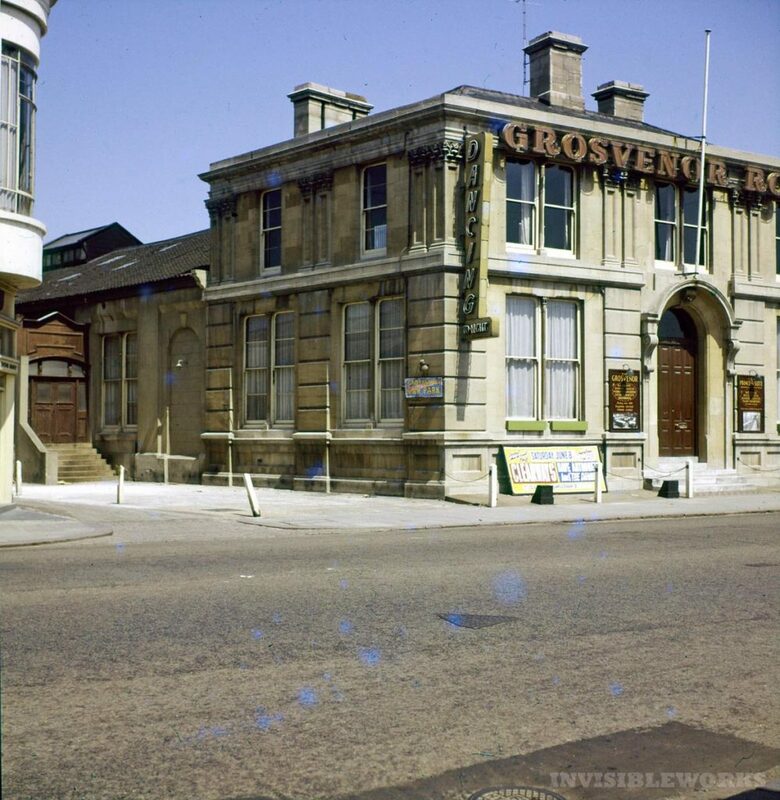 It’s not changed much, although lime green railings seem to have gone out of fashion for some reason. Now home to Norfolk Wildlife Trust I believe. More here. Corner of Farmers Avenue and Orford Street. It’s still there although it stopped being a gentleman’s outfitters in the 1970s. 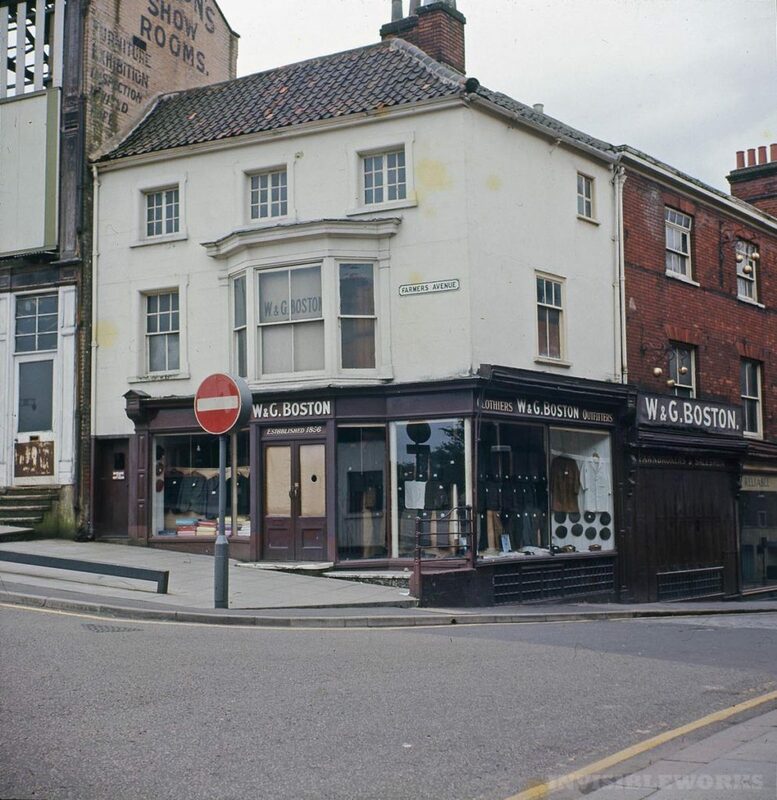 The Boston’s were prolific and had several businesses in the area including pram shop and a pawnbrokers according to Joe Mason. Set back from the street this is I think now Example. 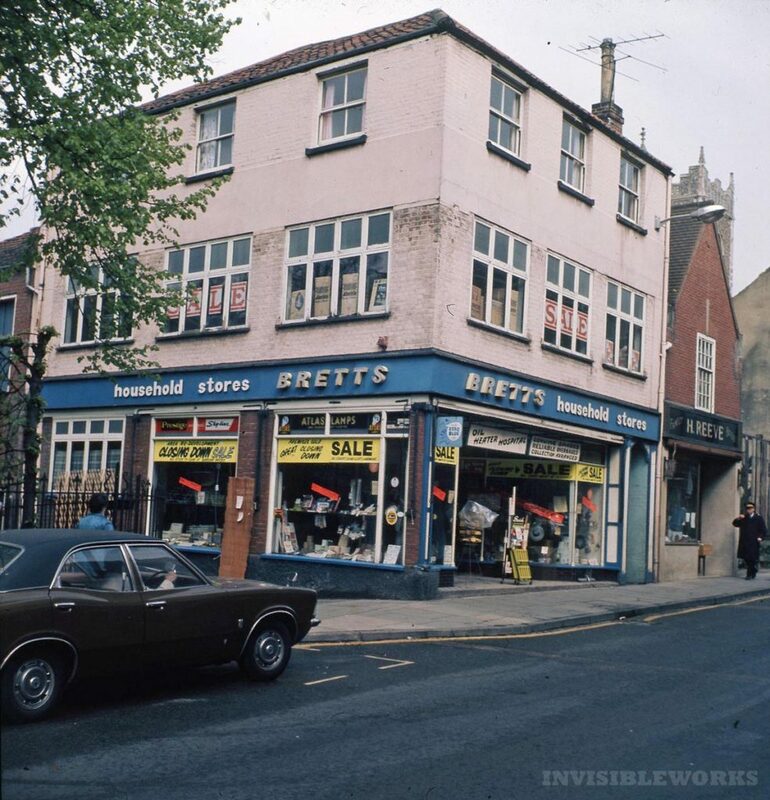 St Benedicts Street, Norwich again, Now Red’s Convenience Store. MkIII Cortina parked up I think which is nice. Thanks again to Julie Chettleburgh. Lovely……just how I remember Norwich when I moved here in 1968. Hi Ben, I don’t think so, have you tried Picture Norfolk and Plunkett? 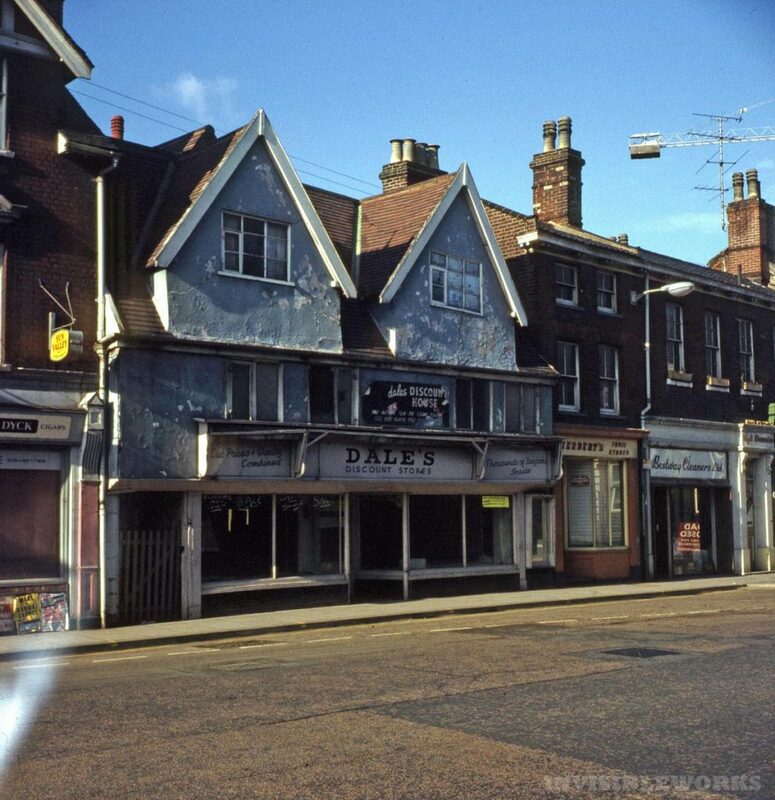 There was a Dales Discount Store at numbers 113-117 Magdalene Street in 1971-75 (and also one at 3 Back-Of-The-Inns). I can’t quite read the name of the shop next door – looks like a Family Stores? A tobacconist on the other side. There is a Road Closed sign reflected in the window of the Bestway Cleaners – maybe to do with the construction of Anglia Square? Demolition? The shops look pretty empty.